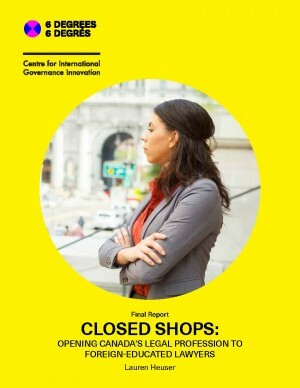 Closed Shops: Opening Canada’s Legal Profession to Foreign-Educated Lawyers aims to start a dialogue about the key barriers internationally educated lawyers face in Canada’s licensing and employment processes, and makes recommendations for how unnecessary barriers can be mitigated or dismantled. This report was produced with the Centre for International Governance Innovation (CIGI) and authored by 6 Degrees-CIGI Senior Fellow Lauren Heuser. For the full report, click here (pdf). Miriam El Ofir was born and raised in Casablanca, Morocco. The daughter of a Moroccan father and French-Canadian mother, she is fluent in Arabic, English and French. After graduating from Casablanca American School in 2009, she — like most of her peers — decided to go abroad for university. In 2012, Miriam began studying law at Queen Mary University of London, a law program that The Guardian’s 2018 University Guide ranks as the third best in the United Kingdom, and first in Greater London. In the course of her studies, the British government started changing its visa requirements, making it more difficult for international students — and in particular non-Europeans like Miriam — to obtain work visas after graduating. Miriam knew she did not want to return to Casablanca. Not only is Morocco a civil-law jurisdiction (which her common-law education had not trained her for), she did not want to join a legal profession that is male-dominated and corrupt. “I didn’t want to prepare all night for a case only to realize it was unwinnable because the other side had been bribed,” she noted dryly. So Miriam set her sights on Canada. A Canadian citizen by birthright, she knew she would not face any immigration hurdles. And since Canada is a predominantly common-law country, she was confident her legal education had equipped her to practise here — in particular since she had taken a number of the Canadian law courses that Queen Mary offers to the Canadian students who study there. When asked if she was aware of the challenges she would face becoming a lawyer in Canada, Miriam’s refrain was one the author heard repeatedly in her conversations with internationally educated lawyers. “Not at all,” she said emphatically. She had thought that, if anything, coming from England would lend an element of prestige to her qualifications. And surely being fluent in both official languages could not hurt either. Little did Miriam know she was about to try breaking into Canada’s closed legal profession — one in which foreign credentials are treated more as a liability than as an asset. Read the full report here, and the press release here. About the Author: Lauren Heuser is a joint 6 Degrees-CIGI fellow. 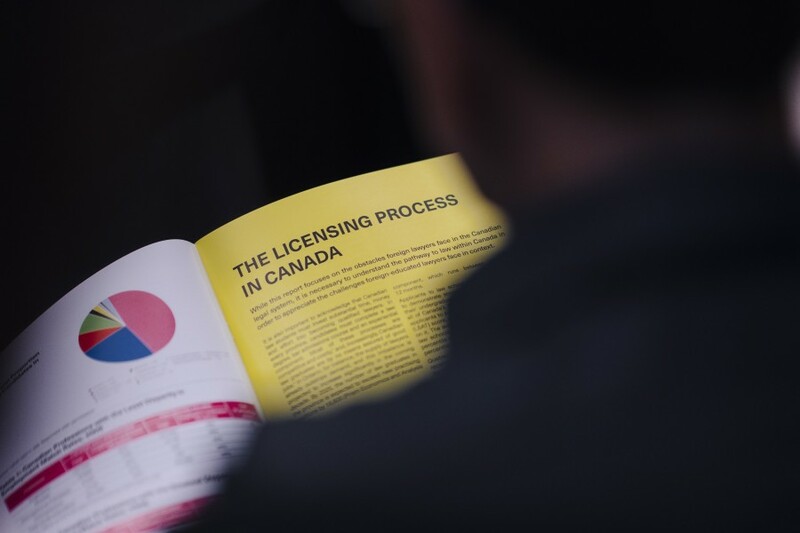 She was engaged by the Institute for Canadian Citizenship to explore the issue of Canada’s closed legal shop given her first-hand understanding of the process for becoming a lawyer within Canada’s common-law system. Lauren is also the deputy editor and columnist for the National Post Full Comment, one of the leading destinations for commentary in Canada. She has additionally written for The Walrus, The Globe and Mail, The Boston Globe and the Ottawa Citizen. Lauren entered journalism in 2015 after practising as a business law associate in the Toronto office of an international law firm for three years. Lauren holds a J.D. from the University of Toronto, Faculty of Law, and a B.A. (Hons.) in literature and political science from the University of Manitoba.